Irene Veneziano plays regularly all over the world. In January 2011 she had her debut at the Alla Scala Theatre in Milan, having great success from public and critics. In Beijing she was appointed an honorary member of Beijing Bravoce Music Club and in Peru she received the honorific title “Visitante distinguida”. In 2107 le she was awarded the National Prize for culture “Toyp 2017”and she was also chosen for the exhibition “Donne. Mujeres italianas que han cambiado la historia” in Logroño (Rioja, Spain). She was also awarded the “G. Sinopoli” Scholarship, receiving the award from the President of the Italian Republic. She was semifinalist in the prestigious 16th “International Piano Competition F. Chopin” in Warsaw 2010 and finalist at the “International German Piano Award” in Frankfurt 2015. She was awarded in more than 30 national and international piano competitions, including Prix Jean Clostre in Genève, 2nd Prize in B&B in New York, Premio “Casella” in Premio Venezia competition, First Prize and Grand Prix at Tim Competition in Paris 2012. Irene Veneziano performed on Radio Suisse Romande in Geneva, on Radio Popolare, on Radio3, on Radio Classica. She played with important musicians as the flutists M. Caroli, A. Griminelli, W. Bennett, D. Formisano, A. Oliva, M. Marasco, S. Jacot, A. Manco, M. Zoni, S. Careddu; with the bassoon player V. Zucchiatti; with Terpsycordes quartet; the violinists F. Dego, A. Bidoli, D. Alogna, D. Pascoletti; the cellist M. Polidori; the trumpet player Ph. Cobb; the clarinet aplyers F. Meloni and M. Giani; the singers S. Pirgu, P. Mazzocchetti, B. Frittoli, A. Stewart; the guitarist E. Segre; the pianist B. Canino. She worked with conductors as Yuri Bashmet, Emmanuel Lahoz, Massimiliano Caldi, Giancarlo De Lorenzo, Stephanie Pradoroux, Jader Bignamini, Keith Goodman, Pier Carlo Orizio, Vladimir Elner, Stanislaw Kochanovski, Michele Brescia, Reinhard Seehafer. The musical magazine Amadeus published 3 Cds, two for piano solo and one for violin and piano. The musical magazine Suonare News published her cd on Celviano Grand Hybrid by Casio, whose she is testimonial. She recorded a Cd of the composers F. Salaris, A. Tetragoni and R. Vinciguerra published by Edizioni Curci. 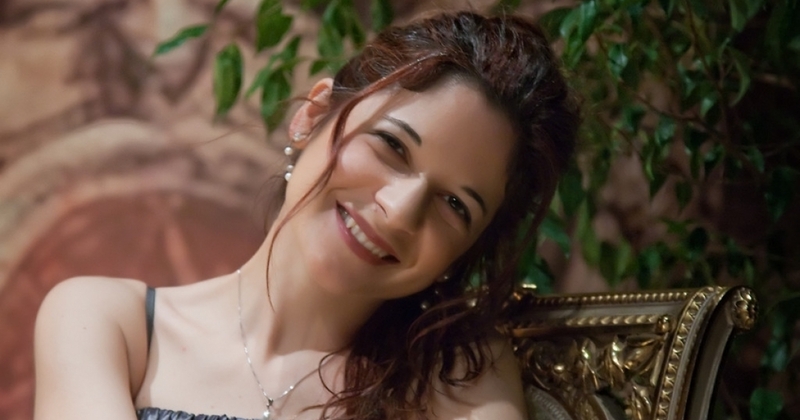 Edizioni Vigormusic published her composition for flute and piano titled “Rêve” and her composition for piano solo “Profumo”. The label Velut Luna published a Cd four hands with the pianist E. Grasso “Sortilèges”. She is artistic consultan of the music festival in the oncologies “Music donors”.She helds many annual and summer masterclasses in Italy and abroad and she is often called to take part of the jury of many national and international competitions. She is piano teacher at “G. Puccini” Conservatory in Gallarate and she has thought also in the Conservatories in Ravenna and Trapani.